There is a growing need for increased, real-time visibility into the most important areas of the organization’s operations across multiple locations or a specific area – people, property and assets. Organizations juggle to balance employee retention and satisfaction through ensuring the building operates more efficiently without compromising security. Increasingly, companies seek to embed trusted identities deeper into everyday activities to create a positive working environment, improve building governance, and ensure optimum efficiency. HID Location Services platform addresses a growing market need for accurate, real-time location awareness and occupancy data to optimize safety, meet compliance and reduce facility costs. Building Occupancy Management combines the power of Bluetooth Low-Energy (BLE), Wi-Fi, and cloud-based technologies to provide data-driven insights that help locate people in emergencies; create an understanding of entry and exit, even when controlled access doors, turnstiles or policies aren’t in place; and optimize resources and budgeting. Organizations boost security, receive increased visibility into their workplace, and can use predictive analytics to quickly understand space usage and building operational efficiency. Whether you want to track a large number of assets across multiple locations or a few high-value assets within a specific area, item management is about accuracy. 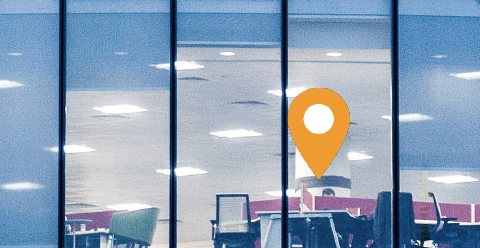 Increasing the visibility of places and timing locating assets and personnel is invaluable to production, building utilization and workplace management. HID Location Services, enabled by Bluvision, provides both – real-time visibility and actionable data on equipment, people and processes. Breakthrough in RTLS (Real-Time Locating System) requires little infrastructure delivering precise location of assets (equipment or people) – within one meter. Sophisticated technology not only tracks in real-time, but delivers the flexibility of user-defined geo-fences. Receive path history, heat maps, and predictive analysis for data driven decisions regardless of environmental requirements - complex manufacturing, airport, or a large-scale retail environment. Optimal asset performance is often the difference between profit and loss and success and failure whether the assets are vending machines, conveyor belts, heating and cooling equipment, or a promotional end-cap within a retail store. In many cases, organizations need increased visibility into equipment performance using multiple data points to monitor and react quickly to critical events. With instant information, creating predictive and actionable analysis in meaningful formats is achievable through HID’s scalable cloud services platform. Armed with valuable equipment data, organizations immediately know when equipment fails, can improve the operational environment and achieves performance efficiencies. Motors and motorized devices fail. The question is – do you know when and what preemptive measures are needed to minimize downtime? Fortunately, it is possible to determine the health and predict failure of motors, generators and other motorized equipment by monitoring their operations and telemetry data. Gathering telemetry data using HID Global’s advanced Condition Monitoring algorithms, operations can filter data using business criteria to eliminate non-vital data to accurately portray trend-line information, predict failure and provide alerts. Obtaining predictive analysis, organizations can implement remedial actions before critical equipment fails to reduce downtime, avoid lost capacity and immediately remedy critical instances.